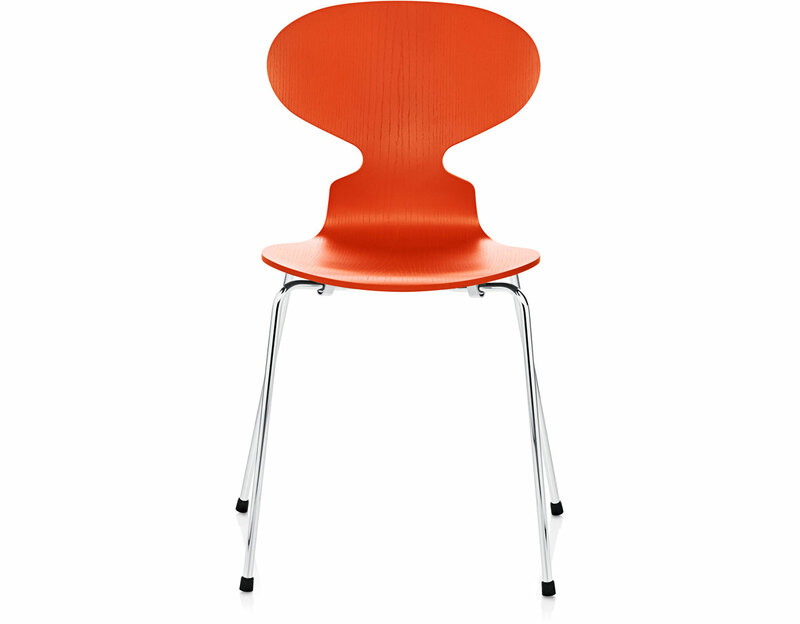 Despite its minimalist and svelte form, the Ant chair by Arne Jacobsen is extremely comfortable due to its shell design while achieving a beauty and elegance which has made Jacobsen's first stacking chair one of his best-known designs. 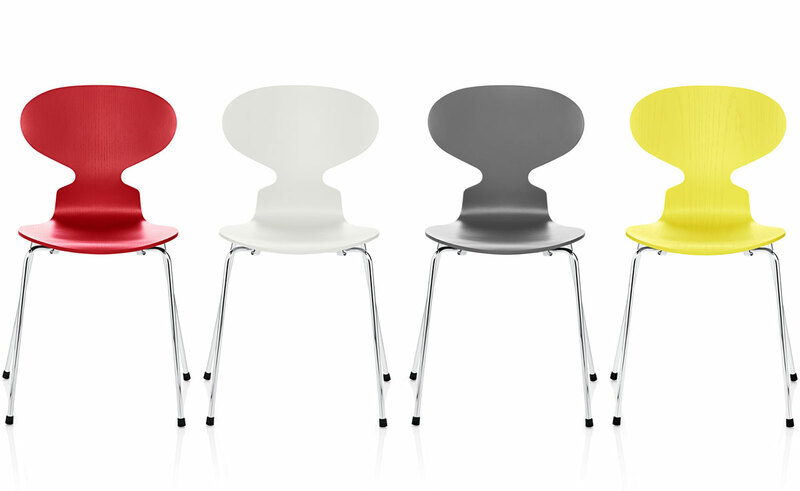 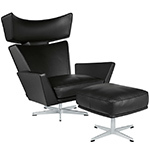 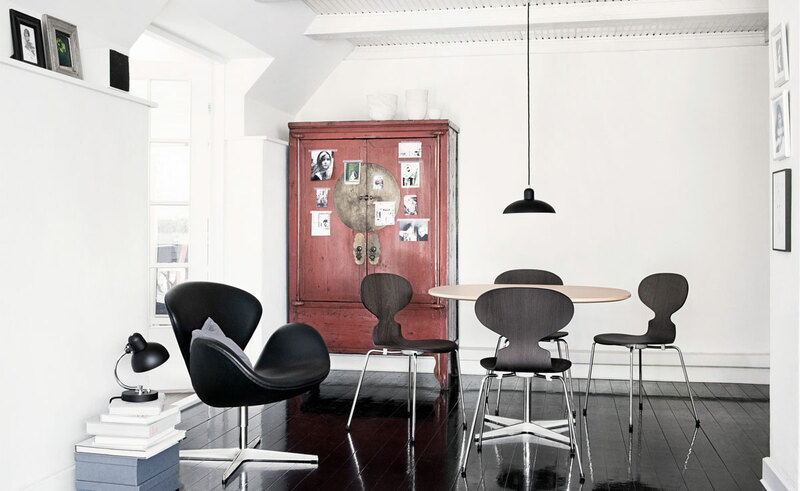 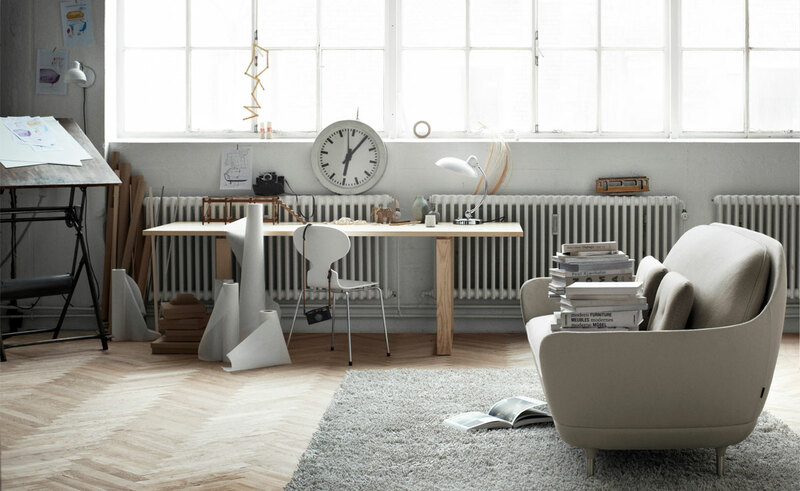 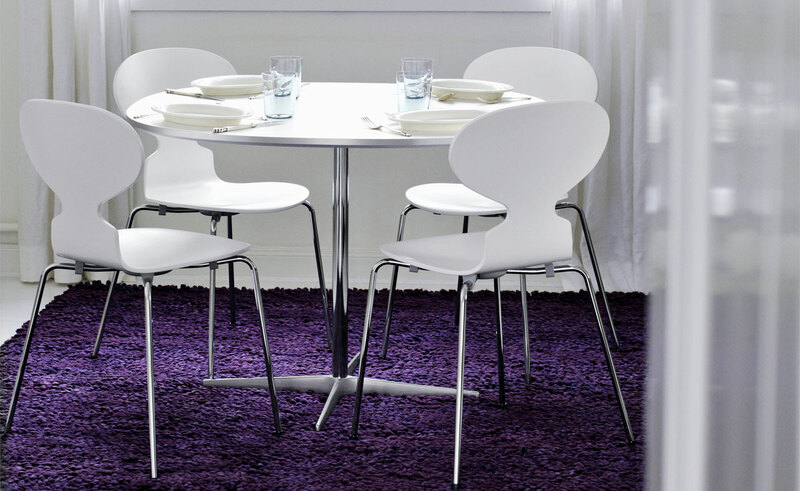 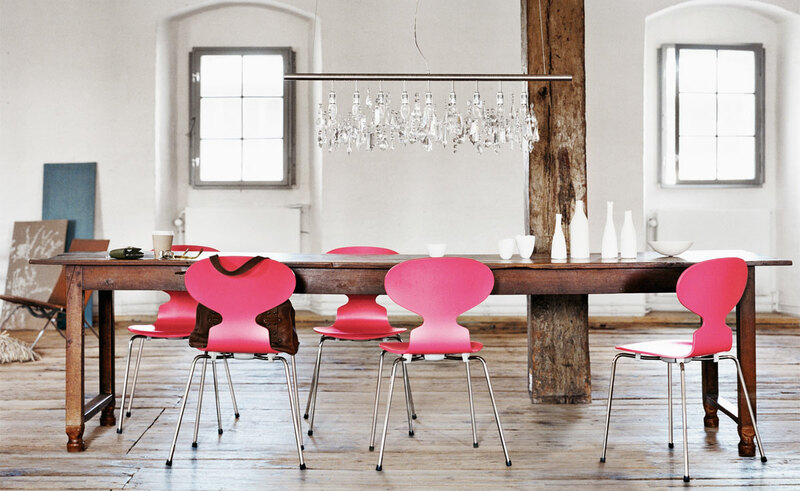 Although a revolutionary design, the Ant was not an immediate hit when first launched by Fritz Hansen in 1952. The chair had only 3 legs and no arms! 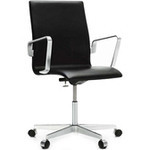 The back and seat are made of one piece of laminated wood with 9 layers of molded veneer and 2 layers of cotton textile in-between. 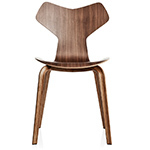 The lamination process coupled with the qualities inherent in the wood make the Ant flexible enough to adjust to the body's contours and movements. 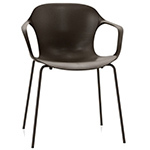 The Ant is a stackable, wooden chair on a thin chrome or satin chrome steel base with a choice of either natural wood veneer or colors in lacquer or lazur. 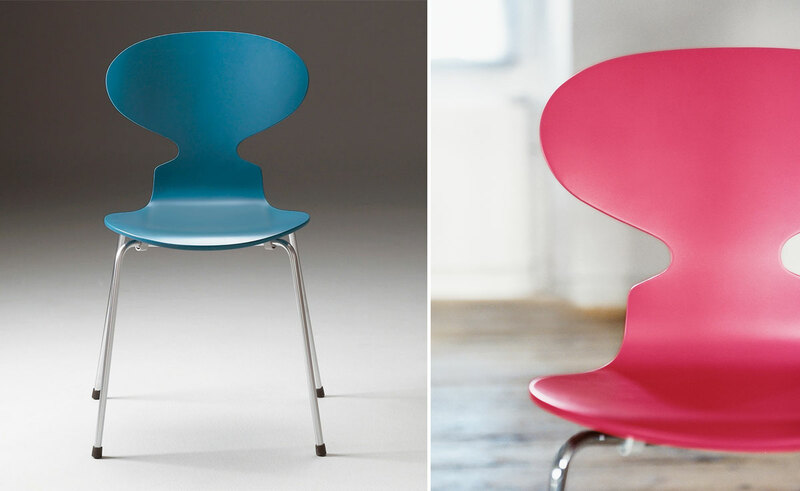 Available in your choice of two heights. 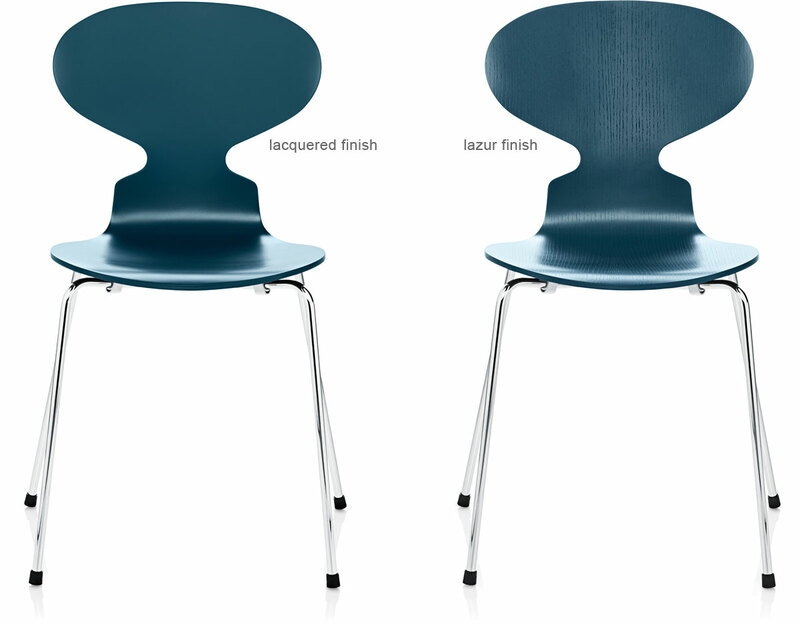 lacquered finish: uniform, silky soft surface with no wood grain visible. 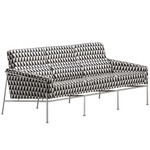 $554.00 + free shipping in the continental U.S.